Code.org, a non-profit organization dedicated to promoting computer science education, has unveiled a new campaign it calls “Hour of Code” targeting 10 million students in the United States. From December 9-15, 2013, Code.org is asking schools, teachers, and parents for their help in motivating students to look into what lies ahead with computer programming. What is an “Hour of Code”? It’s challenging educators to teach their students one-hour lessons designed to “demystify ‘code'” and show that anyone can do it. The campaign is joined by companies and industry professionals like Google, Microsoft, Amazon, Apple, Bill Gates, Mark Zuckerberg, LinkedIn CEO Reid Hoffman, and Twitter chairman and Square CEO Jack Dorsey. 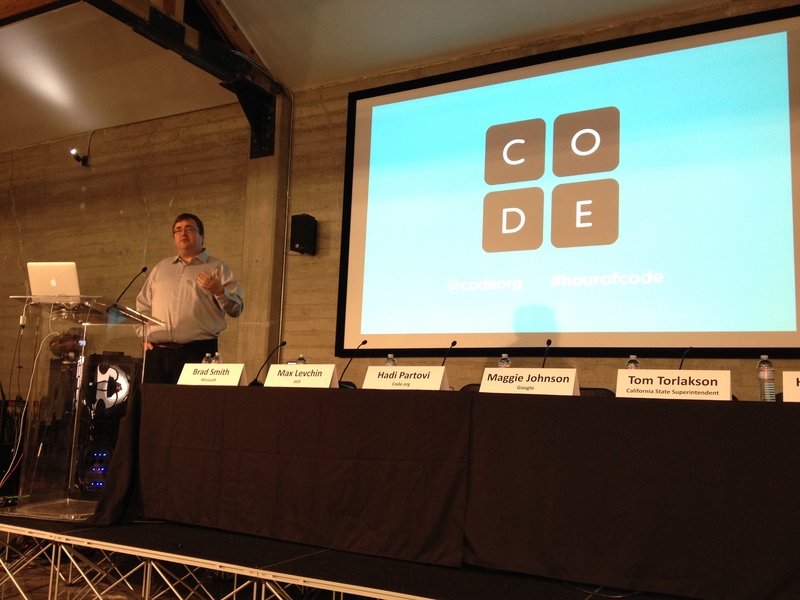 Using its own platform, Code.org will provide online tutorials, which students can complete across any platform. Each lesson has been curated through the help of educational groups and industry companies. But it’s not just an educational activity that you can pick up anytime — it’s also a competition. Code.org is awarding prizes to classrooms that participate, including 10GB of free storage from Dropbox for the first 100,000 educators that “host an Hour of Code for their classroom or club”. Additionally, 50 schools who participate will win a full class-set of computers with one winner in each state. 50 classrooms will win a group video conference with a “technology titan” such as Gates, Dorsey, and Google’s Susan Wojcicki. Students that take follow-up courses online could also win other prizes like Skype credits or iTunes gift cards. Thanks to the amazing support of new partners and donors, the Hour of Code campaign will launch our long-term mission to give every student the opportunity to learn computer science. This isn’t just about the tremendous job opportunities in software — every 21st century child can benefit from learning this foundational field. At Automattic’s office in San Francisco, Partovi announced the launch of the campaign. He was joined on stage by Microsoft’s Brad Smith, HVF’s and PayPal co-founder Max Levchin, Google’s Maggie Johnson, California State Superintendent Tom Torklakson, and the University of Washington’s Helene Martin. But this isn’t just a Silicon Valley initiative. LinkedIn co-founder Reid Hoffman says that it’s much more than that. Specifically for individuals, Code.org’s campaign will help develop crisp engineering problem-solving while helping you understand the modern world around you — technology is transforming all the industries in the world, including the employment and manufacturing aspect of things. For the industry, Hoffman says that every one is being touched by the information industry. As for the US, as innovation in technology grows, it will feed back to other sectors. In the end, technology, particularly software, are said to help transform poverty (Kiva.org) and other serious problems in the world that we all care about. This certainly isn’t the first time that an organization or company has undertaken the task at promoting computer science. Codecademy launched its Code Year initiative back in 2012 geared towards “making programming mainstream”. Services like Udacity, Udemy, Coursera, and Khan Academy also all offer computer programming tutorials. However, it appears that Code.org is going directly after students in their learning environments and not as an extra-curricular activity. The “Hour of Code” campaign coincides with Computer Science Week, an annual event marking the birthday of computer pioneer Admiral Grace Hopper. It’s open to any K-12 student in the United States.